Guhagar (literally translates to “House of Caves” in local language) is situated on west coast of India. It is situated between Sahyadri mountain range and Arabian Sea in Ratnagiri district in the Indian state of Maharashtra. 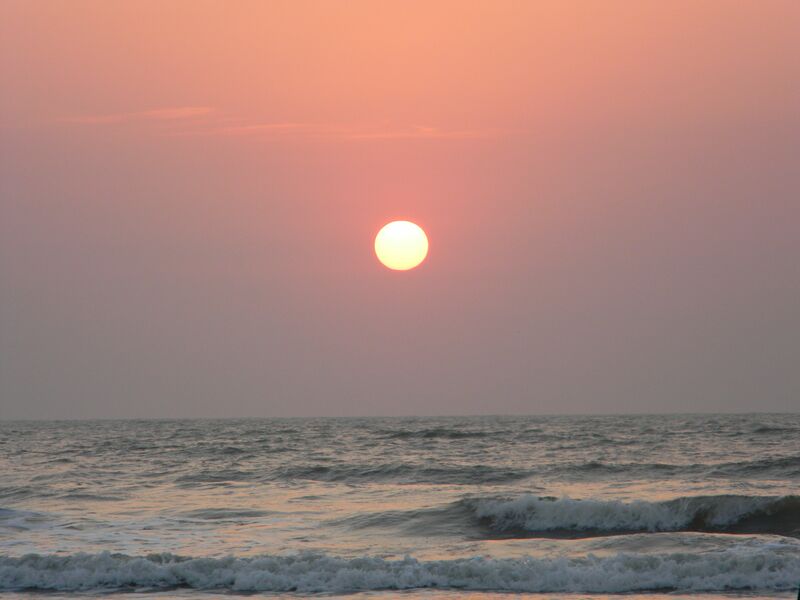 Surrounded by an area called KOKAN (A narrow strip of 720 Kilometer land running parallel to Arabian coast, only in the state of Maharashtra is called KOKAN). The town is known for its virgin beach, coir items, coconuts, betel nuts and mainly Haapus Alphanso mangoes. The nearest city and railhead is Chiplun, about 45 KM away. Guhagar has a very beautiful & virgin beach (about 6 KM long)! A perfect tropical paradise. It is also famous for Durga Devi temple and Vyadeshwar temple. Velneshwar and Hedvi are the two places near Guhagar, famous for the natural beauty there and the temples. 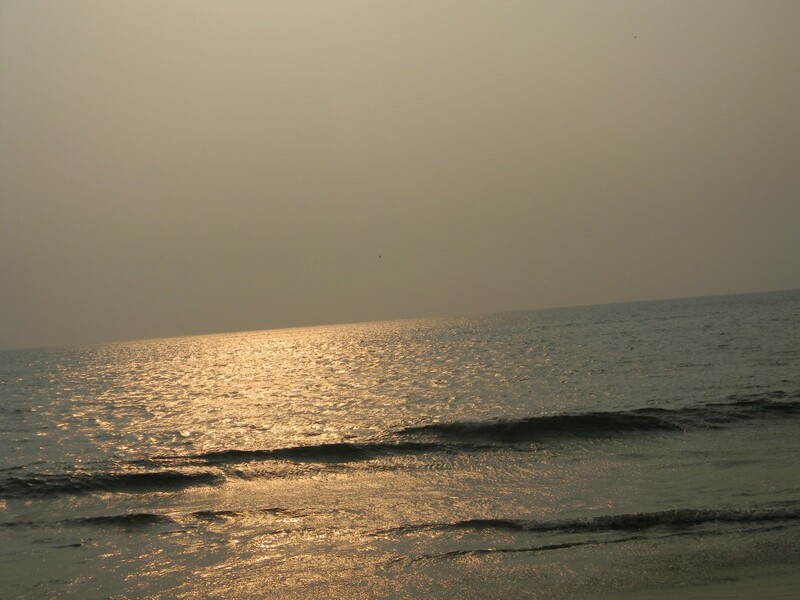 Velneshwar is 21 KM from Guhagar and is known for its clean and beautiful beach which facilitates the ease of swimming and an old Shiva temple. 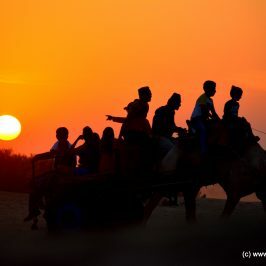 Both Guhagar and Velneshwar are amazing for a perfect picture sunset. We were searching for a good beach location in Maharashtra and finally we decided in favour of Guhagar. 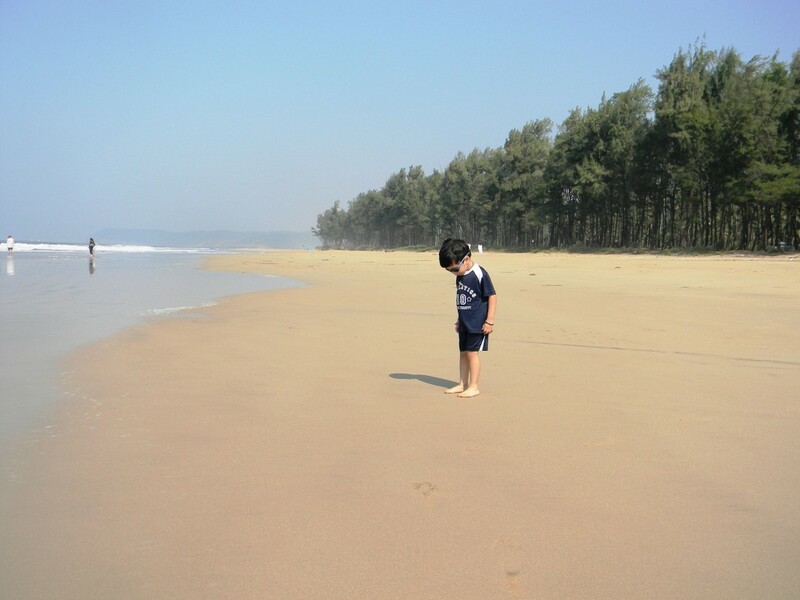 This is the first beach location that we were about to explore in Maharashtra. As always distance is never a criterion for us and we were excited about the journey as well. 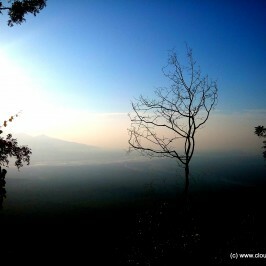 The journey towards Guhagar via Mumbai – Goa (NH 17) Highway was quitefascinating. 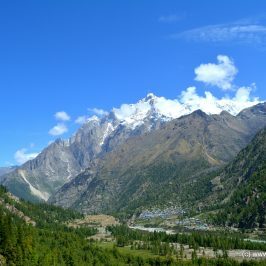 The route has everything to be fascinated about, the terrains, the greenlandscapes, rivers, mountains, two ghats, a river flowing aside for some time and above all a clean environment. The exit from NH17 when approaching Chiplun is just at the end of the second ghat and we were attentive enough to take that turn. From there Guhagar was just 45 KM and again we were in the mid of beautiful landscapes and mountains. By seeing the ghats again we were thinking, “Are we surely going to a beach location?” but to our utter surprise we saw the sea from the mountains. It was amazing to see the creation of nature where at one side we were handling curvy roads on the mountain and suddenly we were at the base near the sea. We were fortunate enough to get a hotel near the Vyadeshwar temple as well as the main market place, which is also two minutes walk away from the beach. After traveling for almost six hours we went for a small rest in our hotel room. After getting relaxed for an hour or so we started our walk towards the beach. As we were getting closer towards the sea, the sounds of waves were getting clearer and cool breeze were getting stronger. Soon, we reached the beach and it felt like our journey was worth it and all the tiredness have vanished. The beach was beautiful, long and clean. 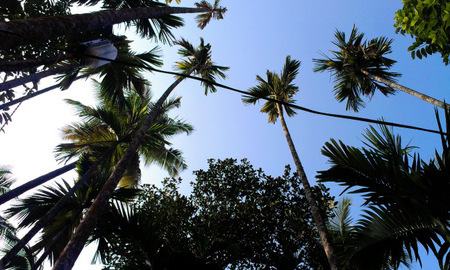 The coconut trees alongside the beach were giving an aesthetic feel to the landscape. We took a stroll alongside the beach and took a ride as well on a cart. We sat on the beach and closed our eyes to surrender ourselves in the lap of nature. We witnessed the sun disappearing across the horizon and twilight making its way. The sky turned into intense orange and red colour giving us a spectacular view. We enjoyed the delicacies at the beach front stalls. By the time we were out from the beach it was dark and we took a walk on the streets of Guhagar. The sound of birds & crickets felt like soothing music being played by nature. We woke up by the morning prayers of the Vydeshwar temple and the sense of divinepower was prevailing all over the place. We again went to the beach and enjoyed our time in the salty water of the sea. While we were on the beach we saw lot of dolphins jumping around and playing with each other. It was wonderful to watch them jumping out and disappearing in the sea. It went for quite a long time. 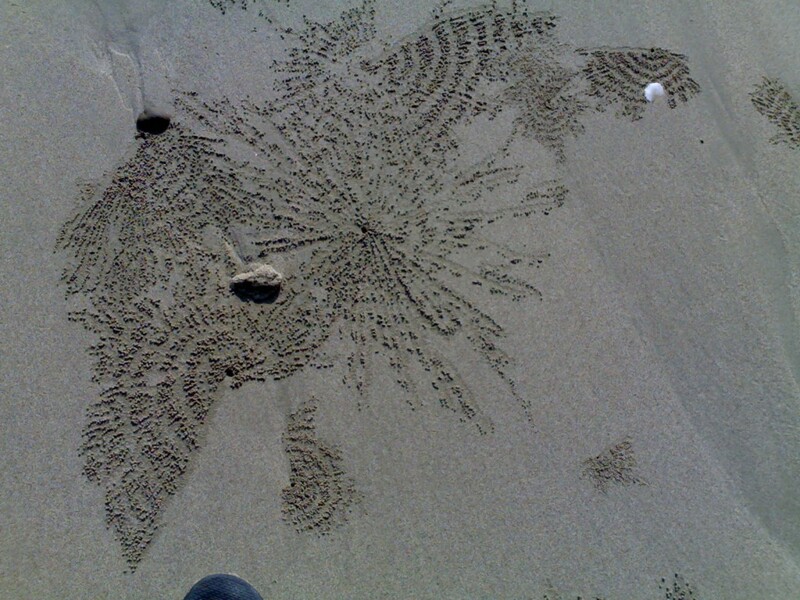 We were also astonished by the creativity of sand bubbles crab, the various designs that they form on the sand was unimaginable. The playful mood of dolphins and the creation of sand bubbles crab made our day. After getting fully quenched we got afresh and visited temples nearby. The most known temple was Vyadeshwar temple (Lord Shiva Temple) had an ancient background related to lord Parshuram. 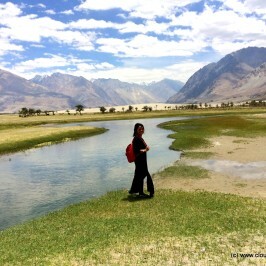 We headed towards Velneshwar which was 21 KM from Guhagar. Again in no time we were driving on the hills and the route towards Velneshwar were more curvaceous. En-route we saw lot of mango plantation for which Guhagar is quite famous. 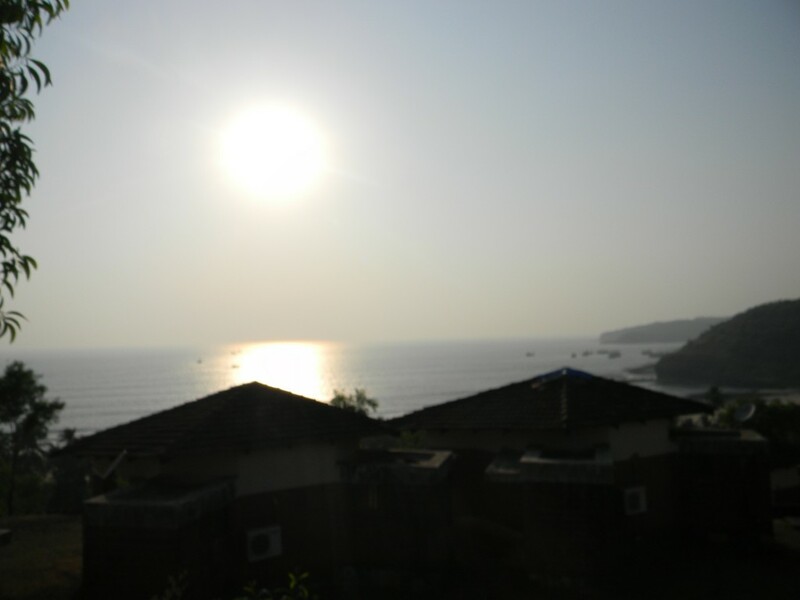 While driving towards Velneshwar we reached a hill top and just at the juncture of getting down from there we were amazed by the spectacular view of the sea. We reached our destination and went to the Velneshwar temple and later on the beach. The quite, coconut fringe beach has made a statement on us. 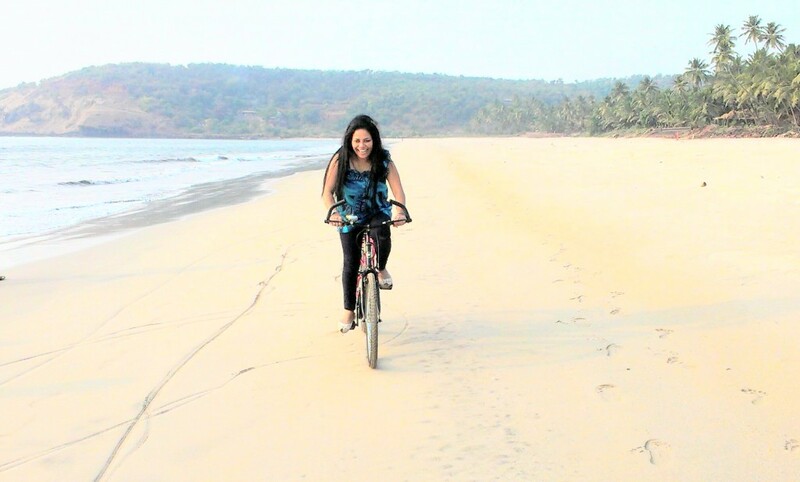 We did cycling on the beach and spent our evening there and again saw the sunset which was mesmerizing. We came back to Guhagar and spent our evening in the market. We left with the sweet memories of the beach, intense beauty, mesmerizing sunset, dolphins, sand bubbles crab, local delicacies, picturesque landscapes, fresh environment, & the hospitality offered by the locals. 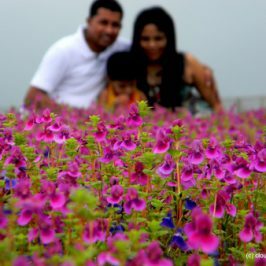 We have added this destination as a must visit place in our itinerary. It really turned out to be a perfect tropical paradise. Accommodation: Guhagar offers wide range of accommodations options. From expensive Villa to small homemade meal-cottages served by local people. MTDC accommodation is available at Velneshwar. By Air: Nearest airport is Chatrapati Shivaji International Airport, Mumbai, which is nearly 300 km from Guhagar. By Road: Chiplun is the nearest major city and is directly on NH17. The state highway turning off to the right when approaching Chiplun from Mumbai on NH17, leads to Guhagar which is 45 KM further. Many Maharashtra Government public buses are operating between Guhagar and Many cities nearby. Tourist buses are regular between Mumbai and Chiplun (45 km from Guhagar). Taxi services are the one direct travel possibility from Mumbai to Guhagar. By Train: Nearest railhead is Chiplun railway station in the Konkan railway region. It is connected to Mumbai and Goa. From the railway station to Guhagar is about 45 km.